bombarded with all those Black Friday and Cyber Monday deals. and find those real gems. 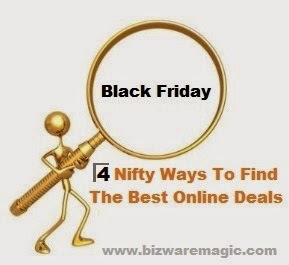 With Bizwaremagic.com, we didn't start out as a "deals-type"
you can use which can make finding those special deals much, much easier. make finding those deals a lot quicker and with a lot less stress. of these techniques should prove helpful and beneficial. Happy Shopping. Go Get 'em!